The Alienware 15 R3 has an excellent IPS display suitable for multimedia and gaming, if you aren’t that picky. However, a few tweaks will make the most out of this screen. The packages contain the usual Office work, Design & Gaming and Health-Guard profiles, each of which will improve the overall image quality in certain aspects. You can read more about them here and how to use them. We also suggest reading our dedicated article regarding blue light emissions and PWM and how our custom Health-Guard profile reduces Blue Light’s impact and eliminates the harmful PWM. 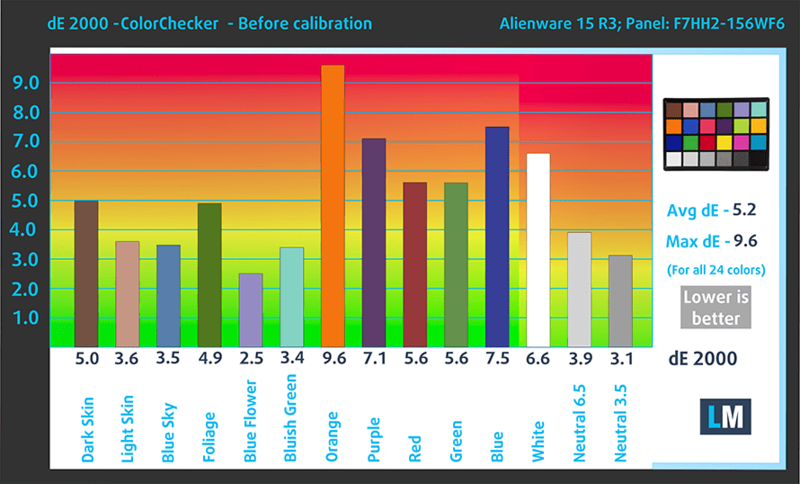 The Alienware 15 R3 has a Full HD IPS panel with 88% sRGB color gamut coverage, high contrast ratio (950:1), high maximum brightness (315 cd/m2) and slightly colder than the optimal color temperature – 6880K. Since our profiles are tailored for each individual display model, this article and its respective profile package are meant for the Alienware 15 R3 with 15.6″ panel manufactured by LG with model number F7HH2-156WF6 featuring FHD (1920 x 1080) resolution, 60Hz refresh rate (no G-Sync) and the machine can be found at Amazon.com: Alienware 15 R3. It also regulates the first steps out of black so you can have even faster reflexes when playing in dark virtual environments…or just see everything in the darkest scenes in movies. As for the Health-Guard profile, it reduces the blue light impact and eliminates the PWM. 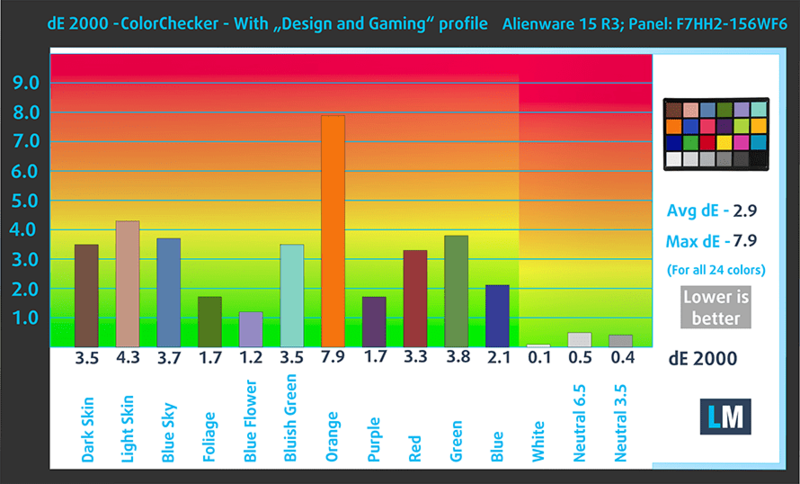 And here you can find the full review of the Alienware 15 R3.